Share a meal fit for royalty and impress your guests with an effortless gourmet dinner. 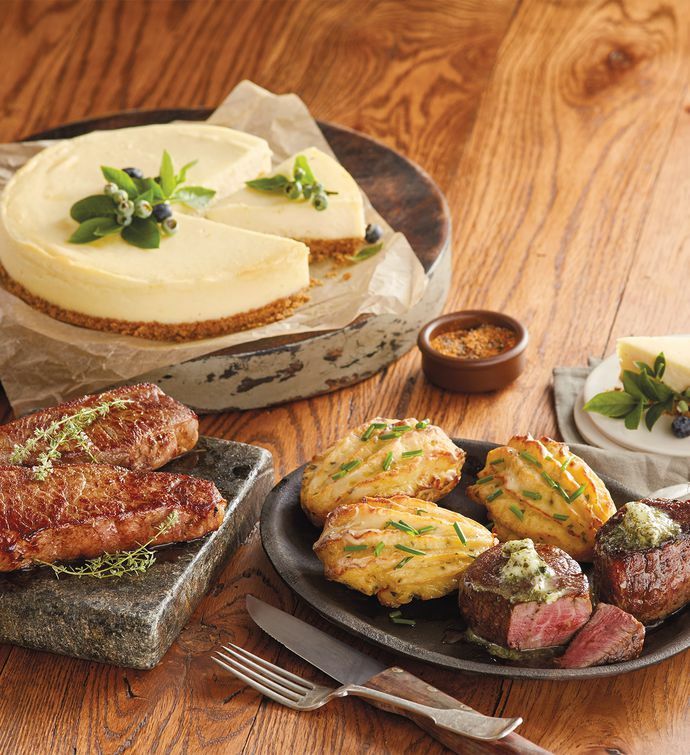 Featuring our perfectly aged USDA Prime New York Strip Steak and Filet Mignon, this gourmet collection of four premium steaks, four twice-baked potato halves, and a 2 lb New York-style cheesecake to feed two arrives neatly gift-packaged, ready to thaw, heat, and serve. To top it off, we've included a tin of Peppercorn Steak Rub to enhance the flavor of your entrée when grilling or broiling.